The Walk is like a heaven for the foodies of Dubai, as there are numerous restaurants located alongside it and no matter what they serve all of them look perennially busy. This just depicts the true popularity of this site. 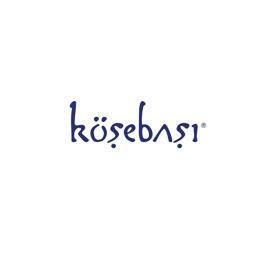 However, as far as prestigious Kosebasi Restaurant chain outlet at The Walk is concerned, things are different because this establishment maintains a prime status when it comes to serving traditional Turkish cuisine. The rich flavors and superlative taste of the food of Kosebasi Restaurant is simply unbeatable because of which this eatery always remain packed with customers. Moreover, elegant decor and cozy atmosphere just makes the whole dining experience at this eating place a splendid venue to savor food. Extensive range of Turkish cuisine is offered at Kosebasi Restaurant that ranges from succulent kebabs to fresh salads and various main course traditional dishes. The staff serves hot and cold mezze right away as the guests takes their seat in this bistro and then ask them to choose their selection from the menu. This wide-ranging menu of Kosebasi Restaurant includes top dishes like Turkish pizza, lamb and beef kebabs. Guests can take pleasure in these dishes either in the main dining room or outdoor seating to see the panoramic views of the beachside. To see the menu of Kosebasi Restaurant, click here! Opening hours of this bistro between Saturday and Wednesday are from 9:00 am to 11:45 pm, whereas on Thursday and Fridays it serves food from 9:00 am till 12:15 am. Dubai Marina - Dubai - United Arab Emirates. Kosebasi Restaurant has no bus stop and metro station within its 2.5 kilometres walking distance range, so the best way to get to this bistro is by car.